We highlight the in-depth communication with our customers during the entire process.On the basis of actual demands,the overall solution beyond their expectations will be offered. 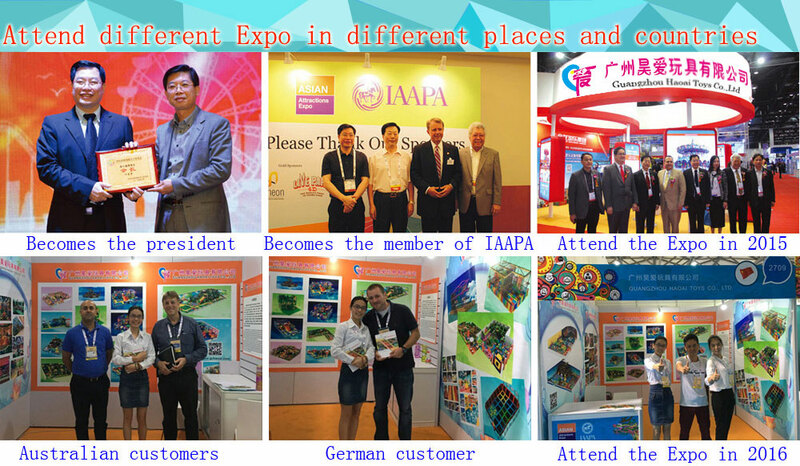 Located in the economically developed Pearl River Delta, central cities - Guangzhou, which concentrates on R & D, design, production, processing, sales, service as one large integrated amusement equipment enterprise. 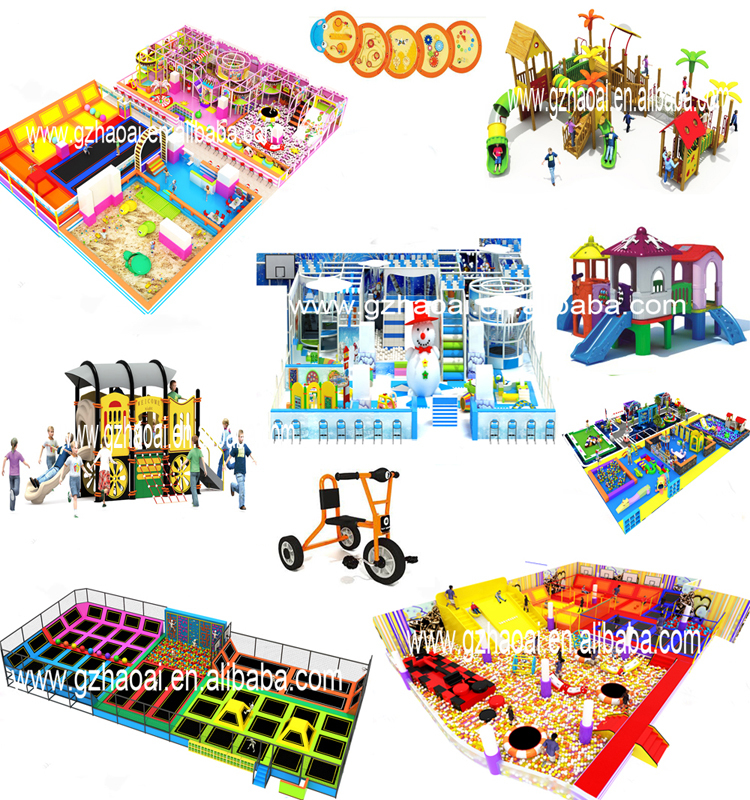 The main products are: indoor and outdoor theme park, naughty castle,large trampoline,extension series,cooperation games discussions,large soft play and playground.We own a large number of excellent designers, engineers, foreign trade, marketing, production and other professional administration team. Adhere to "Quality First, Sincerity First, Credit First". 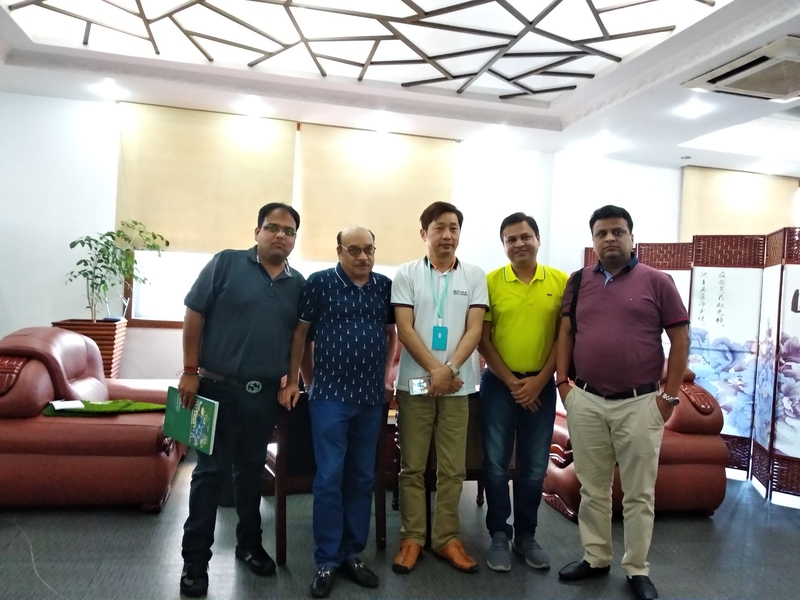 We are one of the biggest manufaturer in China,welcome to visit our factory and showroom to check the quality. 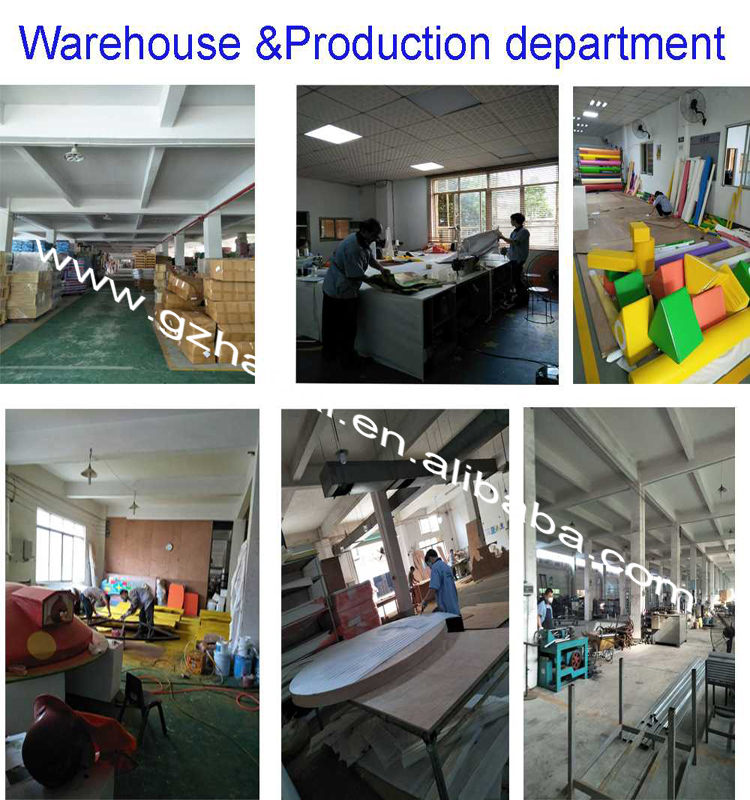 2: Our shipment time is 10-15 working days ,but the accurate time are based on your quantity and requirements on the item. 3: We can delivery by sea ,FCL or LCL is ok.
4: Factory Price ,FOB will be accepted in our company. 5: Before delivery ,if necessary,customers can inspect from our factory Q.C,and do best to ensure that every one will be in good conditions before shipment. 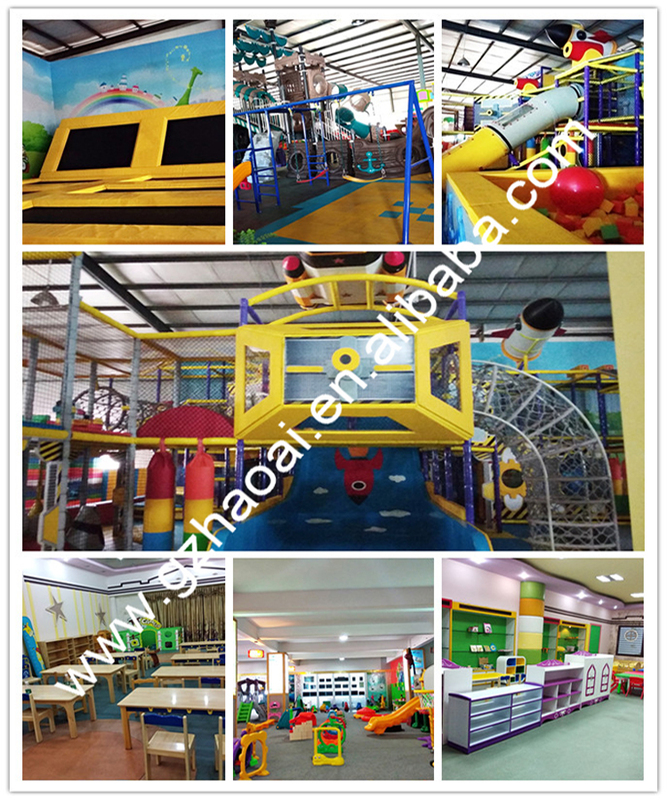 Q: How to maintain and clean the supermarket indoor big slide? A: Maintenance: Everyone should take off his shoes when entering the indoor playground; the EVA mat must be avoided to be stepped by shoes with high heels. Cleaning: Use cleaning rag to clean the surface of the indoor playground periodically. 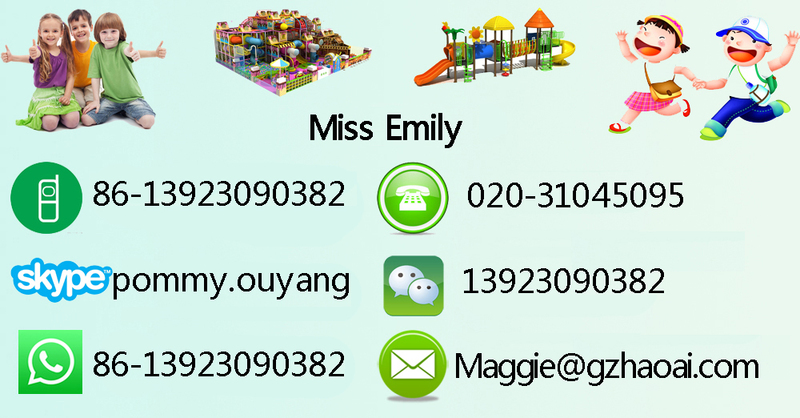 Q: If I have an indoor playground of 100 sq.ms, how many kids can be accommodated at one time? A: Normally, one square or two square meter space can accommodate 1 children. So 100 sq.ms indoor playground can accommodate 40-50 children at one time. Q: Are there any limits about the height? How high do you usually make? Will it be dangerous if we make it higher than the normal? A: The height depends on the area size of your place. We must leave 30cm from the ceiling. Normally, we make two floors 2.8m while three floors 4.1m. If we have the space to make it higher, it’s also possible and won’t be dangerous. Q: What’s the main material of indoor slide for kids? 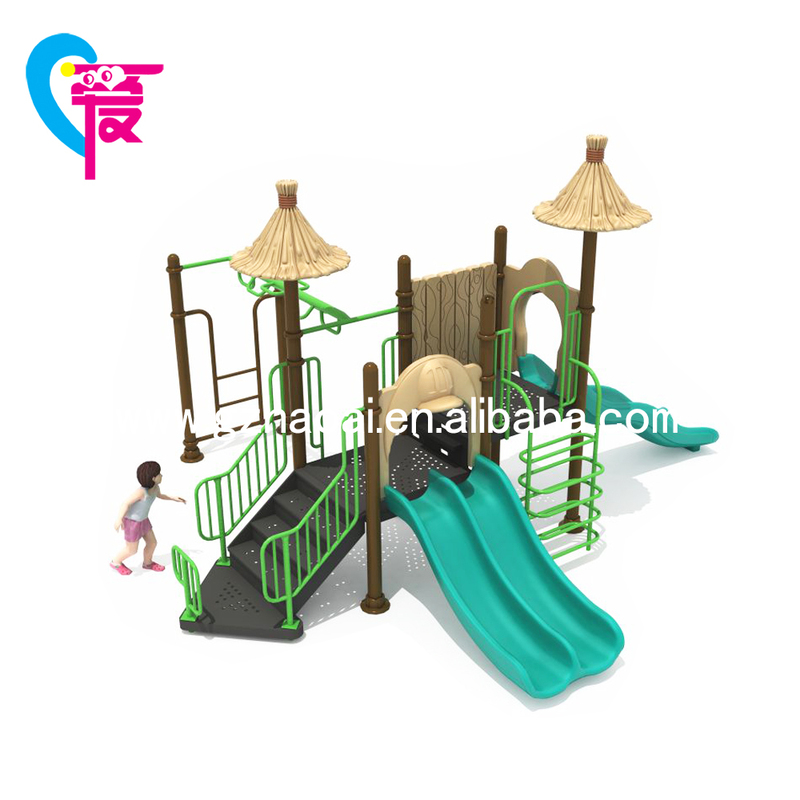 A: The main material of indoor playground is galvanized pipe and plastic part, for the plastic part, we use imported LLDPE (Linear Low-Density Polyethylene) as raw material. 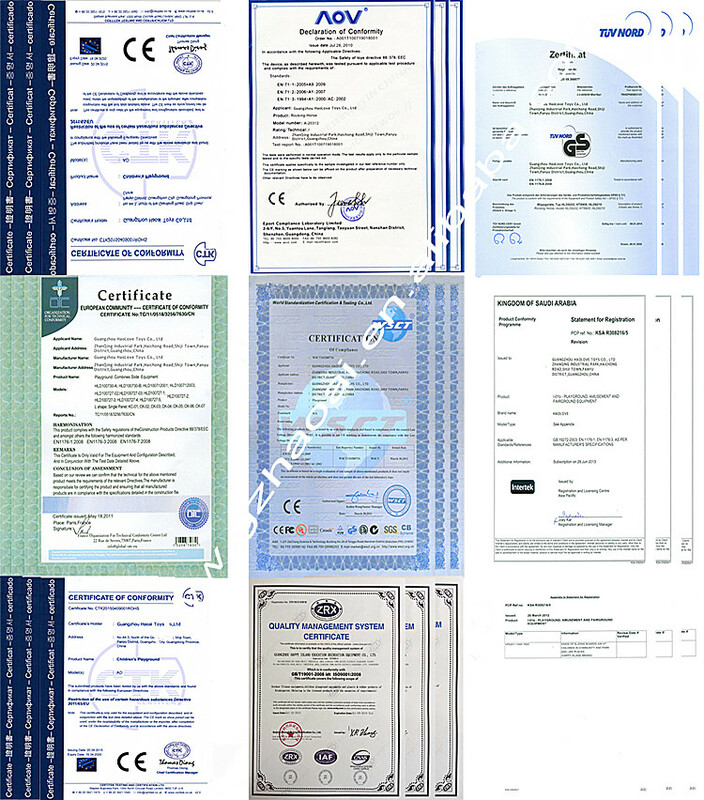 Q: Why choose us ?Do you have any certificate of the indoor slide? A: Yes, we have CE, ROHS, WSCT, CTK, EN1176, and STU certificate. 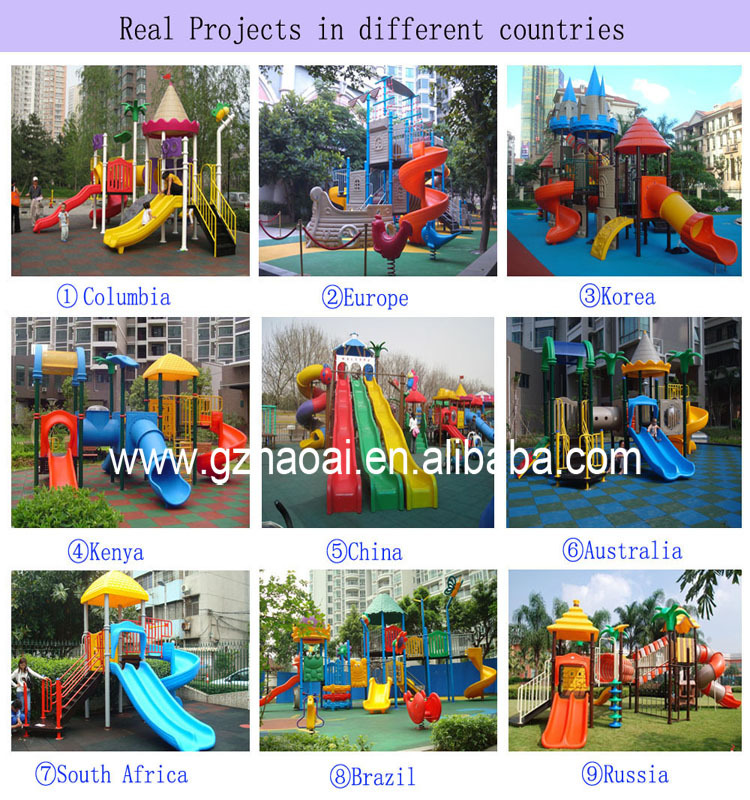 Guangzhou Haoai Amusement Equipment Co., Ltd.